John Parker Editor John hails from South Australia where he entered the newspaper game as the age of 16 as a casual copy boy. He has worked in most areas of newspapers and in online before becoming Chronicle editor in 2014. AUSTRALIA is being held up to international ridicule over environment policies imposed by the Federal Government. The lead story on UK news website The Independent asks whether Tony Abbott's administration is the most environment unfriendly in the world. 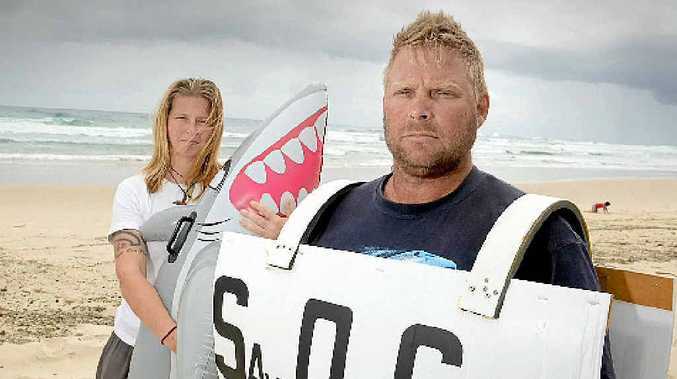 "In Western Australia, endangered great white sharks are being slaughtered," the article begins. "In Queensland, dredging spoil is to be dumped on the Great Barrier Reef. In Tasmania, ancient forests - harbouring some of the planet's tallest trees - are in danger of being stripped of their World Heritage listing." The article, by Sydney-based reporter Kathy Marks, and paints Mr Abbott as a dogmatic climate change denier, citing the government's axing of three key environment-related agencies as evidence. "Mr Abbott has axed three key agencies, including one which supported private investment in renewable energy," Ms Marks writes. "So contemptuous is he of the science behind climate change - of any science, for that matter - that he has not even bothered appointing a science minister." The article is drawing comments critical of the Australian approach to the environment. "Utterly morally bankrupt. Short term self interest at its worst. Market interest put above all else, profit valued over the wellbeing of people. to think people actually voted for this man. Truly disheartening," another post says. One more light-hearted comment links the environmental happenings to the cricket: "Yep, their national pride has gone walkabout. In fact they are brutes, and they bullied our cricket players too!"